Why is Pope Francis wearing a rainbow-hued cross? This week Pope Francis wore a cross that had multiple colors on it that appear somewhat like a rainbow. Several traditional-minded Catholics posted it, assuming it was in some way related to the LGBT pride flag. However, that is not the case. 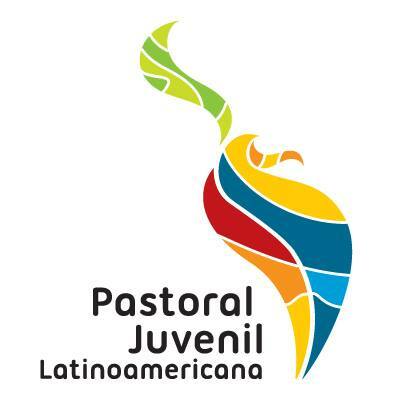 It is a symbol of Latin American Youth Ministry. Young people from Panama together with many synod fathers from Latin American delivered the World Youth Day cross to Pope Francis. The Holy Father greeted them joyfully and blessed them. LGBT flag (for reference) is very different than the cross Pope Francis wore. This cross has nothing to do with the LGBT movement. CELAM (the umbrella group for Latin American Bishops’ Conferences) developed this cross, and the organizers of WYD 2019 in Panama gave it to Pope Francis. The colors represent the ecosystems that Latin America possesses: we have jungle, volcanoes, beaches and sea. The cross was based on the logo for youth ministry across Latin America. Here is that logo, which displays the regions more clearly than the cross. When we see the pope using a symbol, it is worthwhile to try to understand two things before critiquing. First, what is meant? And second, what meaning do those symbols have in that culture? In this case, the answer to the first is that it represents the coming together of Latin American youth from various nations and regions. Second, I don’t think the LGBT flag has gained as much of a foothold in Latin American symbology as it has in the USA. This cross is clearly not intended as an endorsement of LGBT pride. Period. Let’s be honest in trying to understand Pope Francis and other symbols used by Catholics in other parts of the world. This article was first published at Patheos and is reprinted here with kind permission.